It’s definitely going to be a big weekend at the track, thanks to Travers Day! But, see what other events are worth checking out in Clifton Park and the Capital Region. From festivals to a car show and more, there’s something for everyone. Travers is almost upon us! Head to the Saratoga Race Course for one of the biggest races of the season. 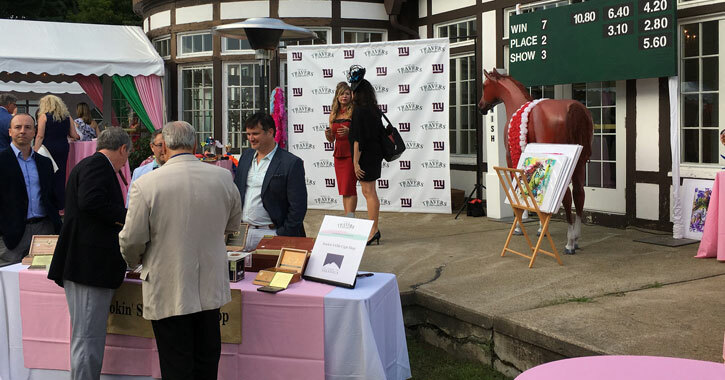 Now in its 20th year, the Travers Wine Tasting is happening the night before Travers at the Saratoga City Center. Proceeds from the event are going towards improving the lives of the elderly in the Capital Region through Senior Services of Albany. The Clifton Park Elks Lodge is hosting a Travers Day Chicken BBQ. You can pick up your meal drive-thru style, or stay and enjoy dinner in their pavilion. The cost is $10 in advance or $13 the day of the event and proceeds go towards Elks charities. Over 60 artists and crafters will be in attendance at the Mabee Farm Arts & Crafts Festival in Rotterdam Junction. Browse jewelry, soap, pottery, candles, maple, wine, and more for just a $5 admission. The Ukranian Festival, happening in Cohoes, will include delicious Ukranian foods, traditional dancing, striking ethnic clothing, and fun for kids. Albany LatinFest is a family-oriented festival centering around everything Hispanic: Hispanic culture, food, crafts, and more. Head to Greenwich, about 45 minutes from Clifton Park, for the Washington County Fair. There will be more than 1,900 animals, over 30 free daily shows, 50 food vendors, and much more. The fourth annual Classic Car and Truck Show is taking place at Lakeside Farms in Ballston Lake. This show is limited to traditional looking cars and trucks prior to 1970. Car registration is just $5 per car. The Albany Sports Card & Memorabilia Show is returning to The Park Manor Hotel. There will be a wide variety of sports cards, non-sports cards, and other collectibles available. Admission is $3. Bring your furry friend and the whole family to the CDJW Help a Dog BBQ at the Albany-Saratoga Speedway in Ballston Spa. Capital District Jeep Wrangler (CDJW) has teamed up with the Animal Protective Foundation in Scotia to host this pet-centric event with a hot dog BBQ, pet adoptions, and more. Artisanal Brew Works in Saratoga is hosting a Family Fun Day as a last hurrah before the kids head back to school. Get ready for hot dogs, cotton candy, a bounce house, games, live music, and beer for the adults. Head to Troy for the latest ValleyCats game with NFL Night, Jewish Heritage Night, and it’s also Sunday Funday – summer reading will take place for kids in attendance prior to the game.